Anyone who's been near a television set in the past decade is aware that Americans now love food and cooking the way we once loved cars and driving. So it's no surprise that General Motors has launched a cross-country promotional tour in concert with Food and Wine Magazine that cleverly showcases celebrity chefs and their creations. The invited audience in each city sees dazzling demonstrations, hears the chefs share a few culinary secrets, nibbles on delicious food while sipping fine wines . . . and, oh, gets to drive new Buicks. Luckily, the wine doesn't get poured until after the test drives. We know all this because our friends Mike and Ann Granzow were nice enough to ask us along when they got an invitation to the Fort Lauderdale stop on the tour. Robyn expected this to be little more than a chance for Mike and me to play with cars but was delighted when the evening turned into an up-close encounter with some well-known culinary figures. The menu was a bit jumbled, starting with dessert and a bit of wizardry. Chicago pastry chef Ben Roche nearly disappeared in a vapor cloud as he decanted a container of liquid nitrogen that allowed him to whip up a heaping bowl of coconut-and-habanero-pepper ice cream in less time than it usually takes me to scoop up a bowl of store-bought vanilla. Then, at last, the wine was uncorked. It wasn't bubbly, but our host more than made up for that. Michael Green, writer and enthusiastic promoter of wine enjoyment, condensed a 32-week wine appreciation course into 20 rollicking yet edifying minutes. The evening would have been a success if it had ended there, but happily for us it didn't. It's no slight to the others to admit that our final host was our favorite: Chef Michael Psilakis is a restaurateur, cookbook author, TV celebrity and one of the country's most respected proponents of Greek cuisine. In the food business, Psilakis stands out as self-taught rather than formally trained—but his informal training in family kitchen has clearly shaped his life as well as his career. As he prepared a simple meatball dish for us to sample, he shared his reflections on the bond between food and memories, illustrating his point with recollections of the meals he grew up with. 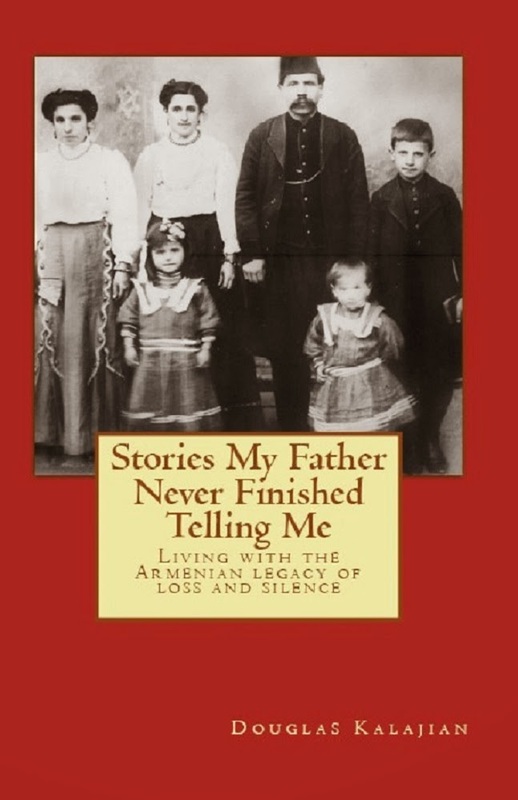 He offered a vivid portrait of his grandmother making keftedes, which he devoured by the platter full. He also spoke movingly about helping his father roast a whole lamb in the back yard each Easter, and then initiating his own son in the practice many years later. The importance of food in so many family rituals resonated with our own childhood memories. After his demonstration, we stole a moment with the chef to snap his picture and tell him how much we appreciated hearing his stories. 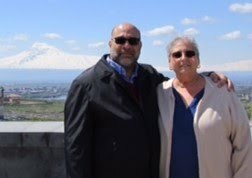 When we mentioned our blog, he responded, "Armenian? Wonderful. We're brothers." We felt certain of it when we received the evening's final bonus, an autographed copy of Chef Psilakis' latest cook book. The title: How To Roast A Lamb. Love it; Greeks & Armenians together! Psilakis is a great chef I have one of his cookbooks in which he does loads of story telling too! It truly was a wonderful and exciting evening. 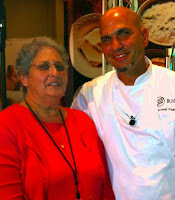 Chef Psilakis is a down-to-earth, warm,humble,terrific chef! You know eating food is the best and satisfying thing but cooking food is one of the finest art in the world.thank you very much for sharing.keep posting.